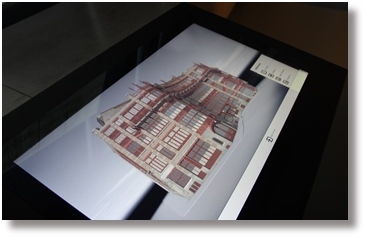 - creation of an attractive multitouch application, appealing to diverse target groups. The exterior as well as in interior of the buildings, of which the majority has been demolished, can be explored with multitouchscreens. Games make the application attractive for all ages. The whole installation received a stylish integration. Devices have been invisibly mounted. 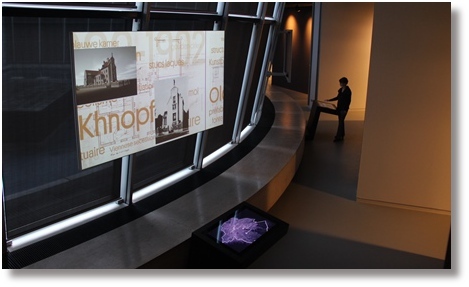 This multimedia installation is highly energy-efficient, thanks to an automated time schedule and the use of motion detectors. We have chosen projectors with a hybrid led-laser technology, thus reducing the cost of maintenance and consumables considerably.